Apparently the lease had run out, and the pasty shop and the Cove above have both closed. I believe this happened right at the start of 2011 and on Friday I could see that all fittings from the pasty shop have gone – it’s just an empty shell. 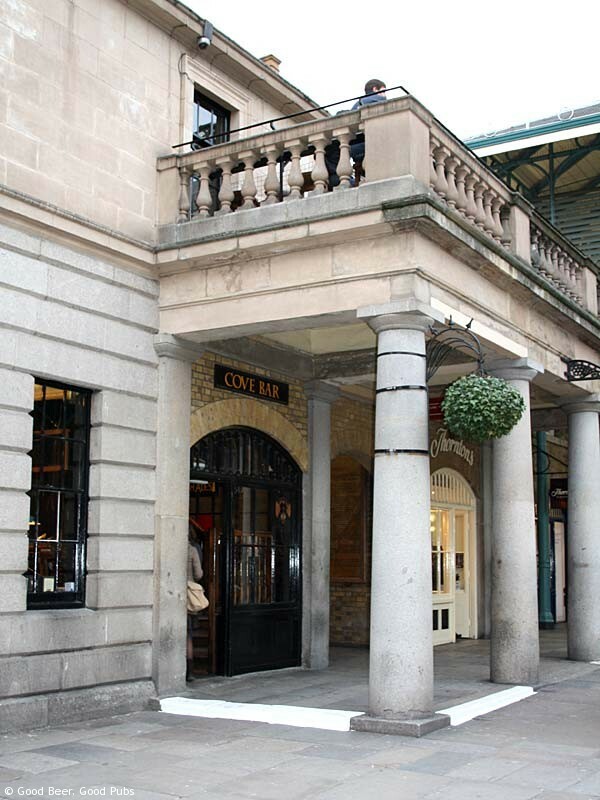 A favourite of many people – including myself – the Cove was an amazing place – a Cornish themed bar in the heart of London. On the face of it that doesn’t sound too exciting but it was one of the only pubs in London to sell Skinners beers. 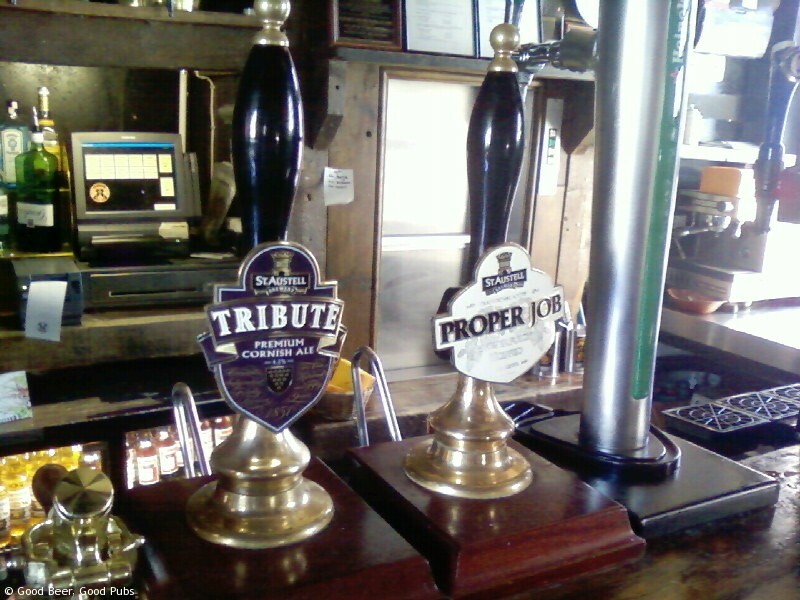 The three Skinners beers were usually Ice Blonde, Betty Stoggs and my favourite – Cornish Knocker. The Cove also regularly carried St Austell Tribute and latterly Proper Job. All the beers were well kept. Given its location the Cove was one of the West End’s best kept secrets. You had to know to find the door beside the West Cornwall Pasty shop in the main Covent Garden market building and have the confidence just to walk in and up the stairs – and there it was, complete with a pretend Cornish fishing boat for a bar. 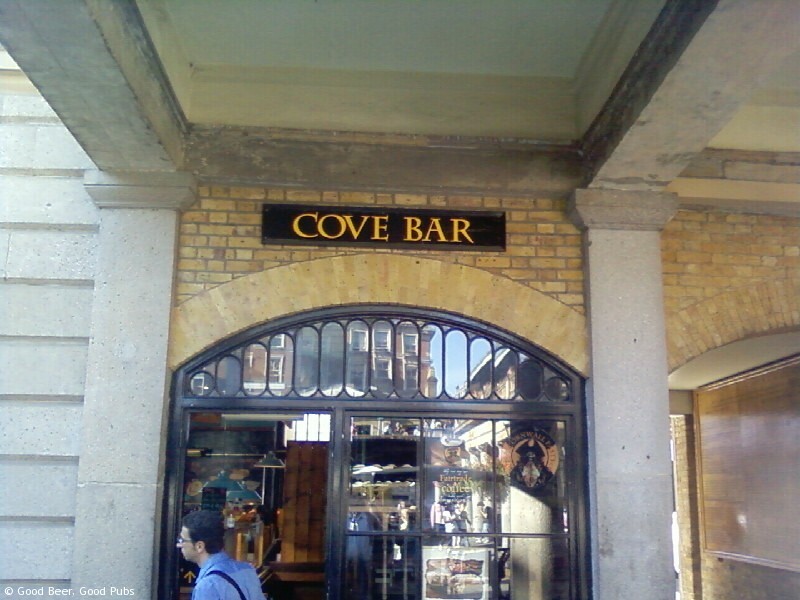 Cove Bar was picked out in letters above the door – but so far above eye line that hardly anyone saw that. 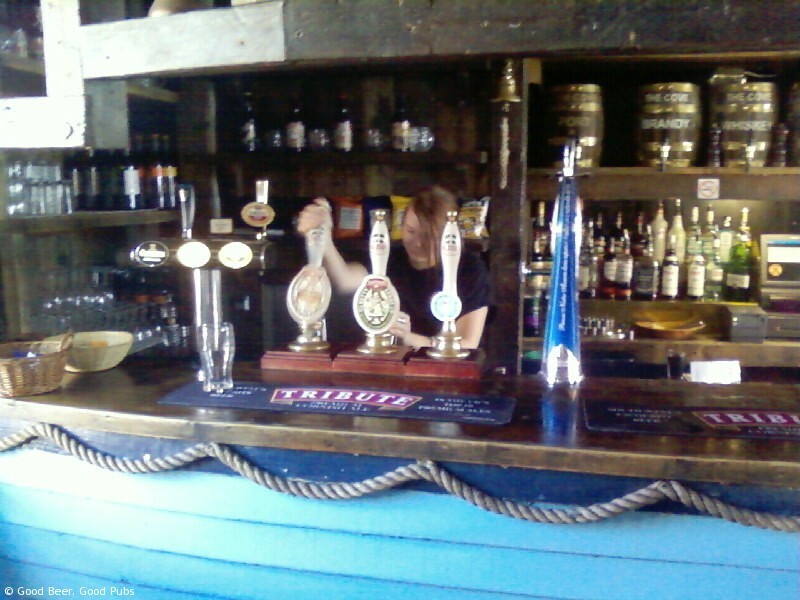 There was a small brass plate screwed to the wooden stairs that stated “Real ale served here” or something like that. And that was all the signage there was. 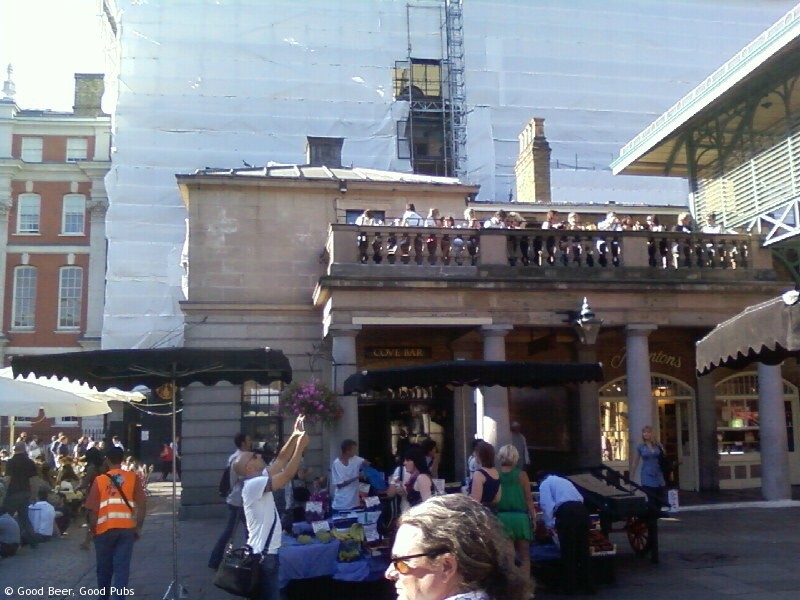 Enough people did know about it though to make it pretty busy at times, but you could usually find some space – even on the balcony which overlooked the entertainment on the Piazza. 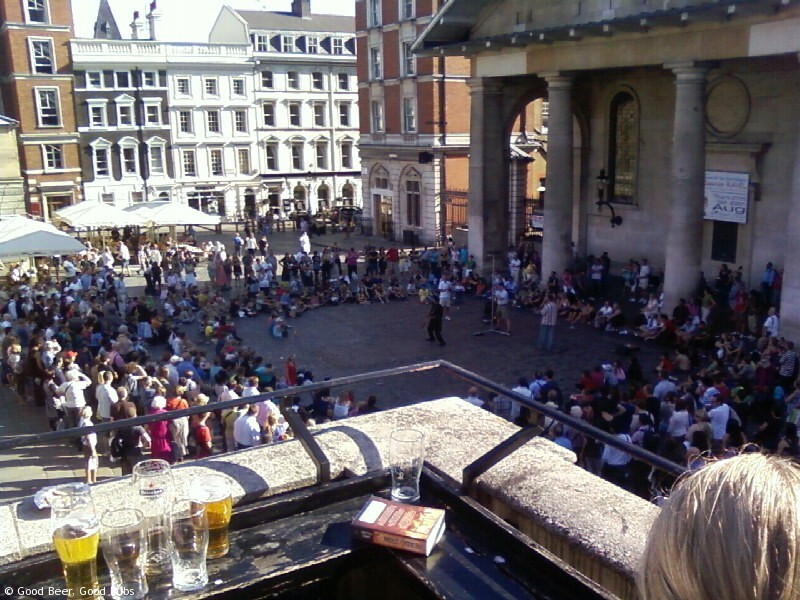 You were of course very close to the drinkers on the balcony of the dire Punch & Judy opposite but we all knew which pub we preferred. 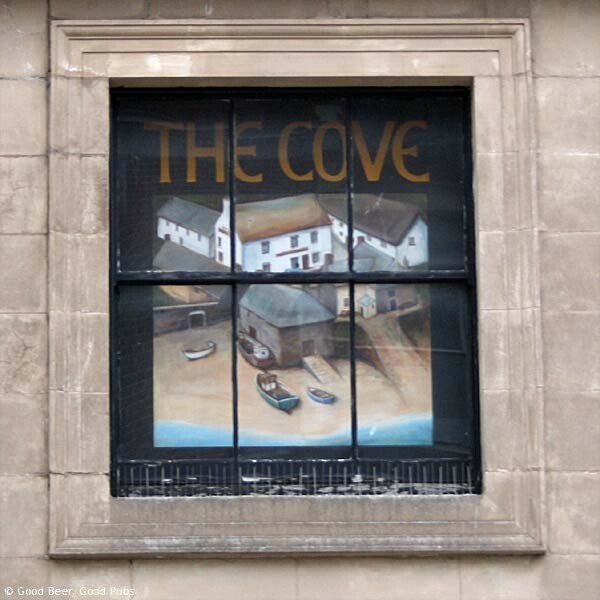 I first encountered the Cove in the early noughties when I stumbled across it by accident while checking out the pasty shop. It quickly became a regular West End haunt of mine, and everyone I took there really liked it. In the early days it was actually run by Cornish people – including staff from the Old Inn, Mullion. One off-putting aspect of the Cove was the prices. Even given it’s location it was extremely expensive and I read from the latest reviews that they were charging over £4 per pint. But despite that it’s shame it’s closed and although I hadn’t visited for a while I’m not sure where my next pint of Cornish Knocker is going to come from. I never really took many pictures of the inside of the Cove – it was on my list… But here are some pics – mainly from my dodgy mobile phone. 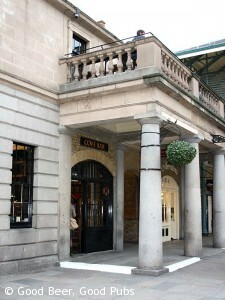 Cove Bar, Covent Garden – a pub sign in a first floor window? Pub review of the Cove. Cornish Beer in Covent Garden. I have only just found out that the Cove is no more from someone who works at the new Apple Store opposite. I was going to meet them in the Cove but they said it ain’t there any more. Now I am in mourning. Like yourself, I hadn’t been there for a little while and also came across it late nineties/early noughties. A gem of a hidden treasure pub in the hurly burly of London. We used to love sitting out on the balcony of a summer’s eve (or winter’s eve under the burners). All those I introduced there also loved it. It will be sorely missed…and, to top it all, it has been replaced with a macaroon shop! Thanks for your comment Robin. Macaroons are not the future – not in my world anyway. I still haven’t found anywhere else in London that carries Skinners beers. I asked the owner of the Harp nearby if she could get some in as she’s occasionally carried Betty Stoggs and Knocker in the past. She said she would see if she could but I haven’t heard anything yet. I was disappointed but not altogether surprised to hear about the closure of The Cove. I hadn’t visited for a while, so only found out in the summer. Like the previous poster, I have fond memories of the place from the late 1990s/early 2000s. As part of a small clique of mates from Cornwall who had relocated to the Big Smoke, The Cove was our traditional meeting place for any night out. I liked the combination of proper pint, a pasty and that fact it played good background music (indie, mainly) whenever I was there. As my friends moved away to far flung places such as north London and, er, Australia, visits to The Cove became less frequent, and the last time I was there I recall being less than impressed by the place, particularly the eyewatering prices. When you can buy Fullers beers for competitive prices across London, you can’t justify charging £4-plus for a pint of ale. Still, happy memories of basking in evening sunshine on the balcony in the summer, supping a pint of Cornish Knocker and munching on a steak and stilton pasty!